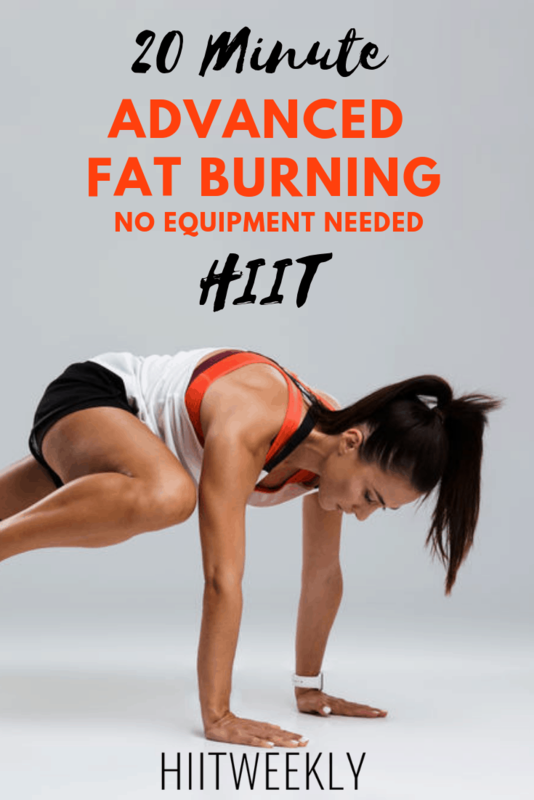 It's about time we started burning some calories, let's begin with our 20 minute advanced fat burning HIIT workout you can do at home at any time. If you're new to this blog, welcome. I'm Luke a personal trainer from England. I train women of all abilities where I teach them how to lose weight and stay lean through HIIT and clean eating. Demi my Wife as of last month, is also one of my clients and every Monday I share her workout of the week which is aimed at beginners. So if that's you then you might enjoy her workouts more than this one. HIIT is a great fat burner. Not only will you be sure to burn a ton of calories during this workout but you'll enjoy a raised metabolism for up to 72 hours after, perfect for fat burning. That doesn't mean you can have 3 days off though. Maximise your fat loss and train AT LEAST every other day. Combine this with our 7 day clean eating plan and watch the fat melt away. If you're already a lean mean fat burning machine you'll benefit form the fitness gains. It's been a busy week at the gym, I've been testing out a load of HIIT workouts with my fitter clients to make sure the workouts I give you are on the money. This ladder HIIT went down really well with my fitter female clients. I always get pleasure out of their pain and suffering, that's when I know it's a good one! If you're wondering what a ladder workout is its very simple. You either ascend or descend through reps, so you either climb up or down a ladder. In this workout you'll start with high reps and descend down through the reps exercise by exercise as you'll soon see. When working down in reps you'll be encouraged to keep on going, knowing that as the exercises move on the reps will decrease meaning time spent on each exercise decreases. We usually put the easier exercises as high rep stations and the harder ones as the lower rep stations. If you know you don't have much time or you just need to get through the workout as fast as possible only you can make yourself work harder to get through each exercise as quickly or as slowly as needed. Doing circuits of time or set reps can get monotonous, mixing things up will keep you interested in each workout. Especially if you know you need to hit 60 reps of an exercise. When we enjoy our workouts we are more likely to do them again and workout harder leading to even faster results. These are a variation of the standard mountain climber where you drive your knees up towards your elbows one at a time when in the high plank position. This variation requires you to move your legs around in a half circle as you are running them. Allow your upper body to turn with your legs. Another great core exercise. In the low plank position jump your legs out to shoulder width and then back in again to toes together. Maintain a flat back and straight legs throughout. To perform the skater jump start standing on your right leg, crouch down slightly and jump up and to the left landing on just your left leg, squat into a half squat and then jump back. Repeat. Perform your normal press up as you would except as you lower yourself down towards the ground you lift one knee up to and out to the side aiming for your elbow on the same side. You can do this in the full or half press up. This is a hybrid of the Burpee and lunge. Starting with a lunge take a big step forwards and drop the back knee down to about 1 inch off the ground, in this position both knees should roughly be at right angles. Push yourself back up driving back through the front legs heal. Repeat on the other leg. So you've done 2 lunges one per leg, now do your Burpee. Hands to the floor, jump your legs back together until your body and legs are straight with shoulders over wrists. Jump your legs back in to a flat foot position and then jump up. Just do one round as quickly as you can. Time how long it takes and try to beat it in a couple of days. Combine this with some of our other bodyweight HIIT workouts for a more complete workout set. Need to burn extra fat and fast? If you need to shed some extra fat fast then you should definitely take a look at THE 2 WEEK DIET. It's been around for about a year now and people have been getting some amazing results from it. It promises fast results and even states that on average people tend to lose around 14 pounds in just 2 weeks. It's a complete diet and exercise program. If you're interested check it out here. If you liked this workout give us a comment below so we know to make more advanced fat burning HIIT workouts.